The SEAS program a small research group from A&M Galveston (TAMUG) that specialize in Sargassum. 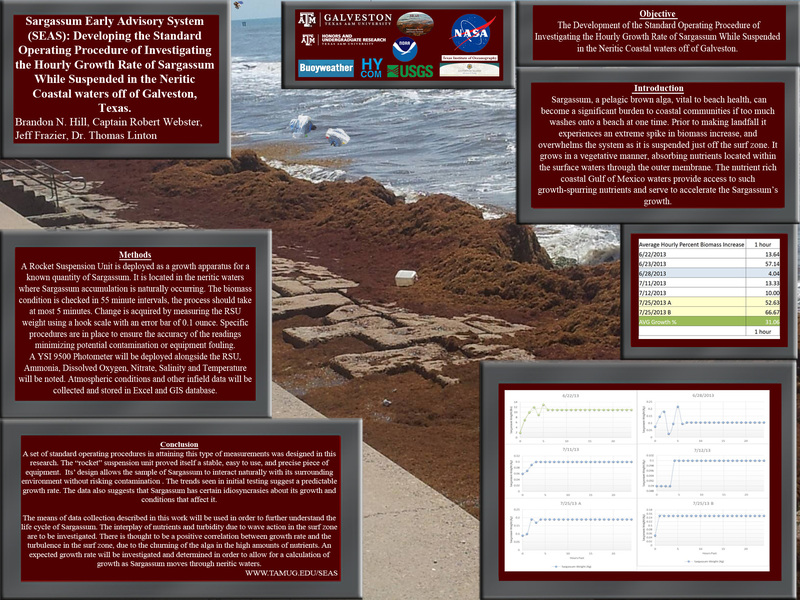 This Program was created in 2013 to help with forecasting large Sargassum landings for Texas. As of 2017 the SEAS program has done forecasting for All of the Gulf Coast, Mexico, Grand Cayman, Jamaica, Haiti, Dominican Republic, Puerto Rico and Various Caribbean Islands. 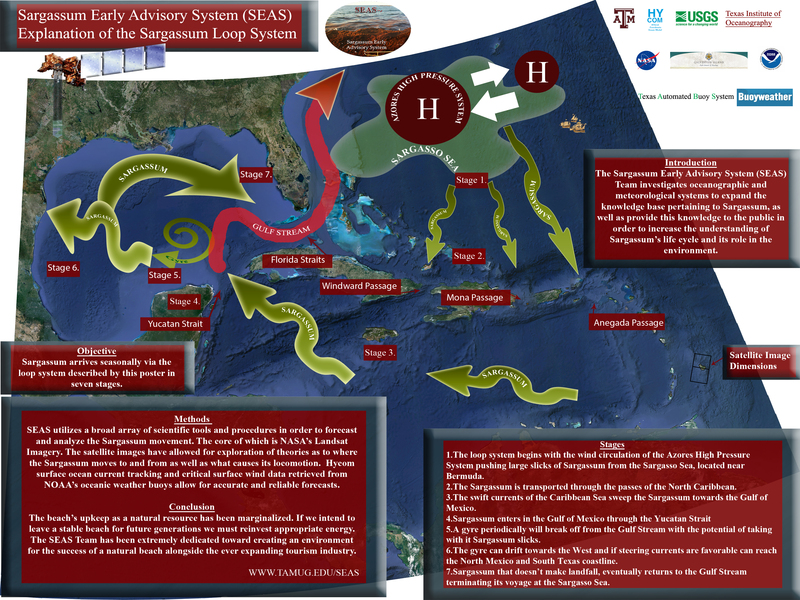 The SEAS team has also worked with several goverment entities and private orginzations on several diffrent projects in hopes to further understand the nature of Sargassum and The Sargassum cycle. 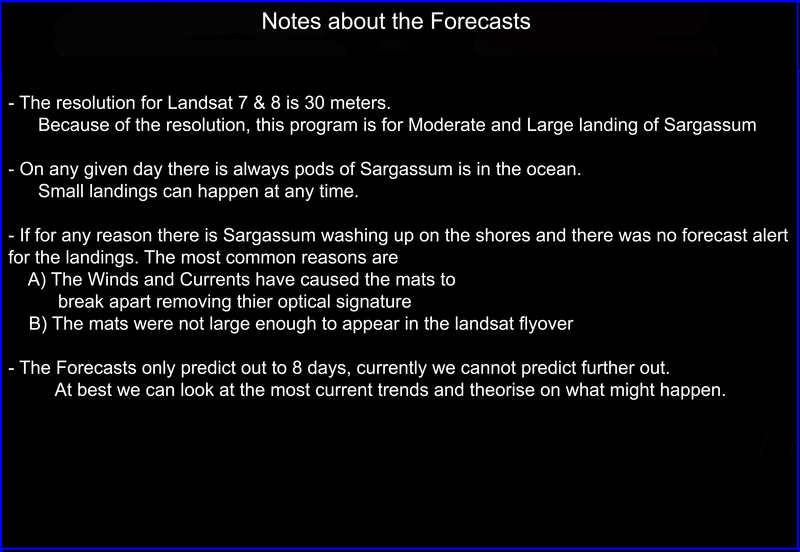 All research was done to help illuminate some potention uses for Sargassum and more accurate forecasts for landings. The Seas program was developed by Robert Webster and in late 2015 Robert Webster passed away due to cancer. The Galveston Daily was so kind to print a memoral for Robert after his passing. 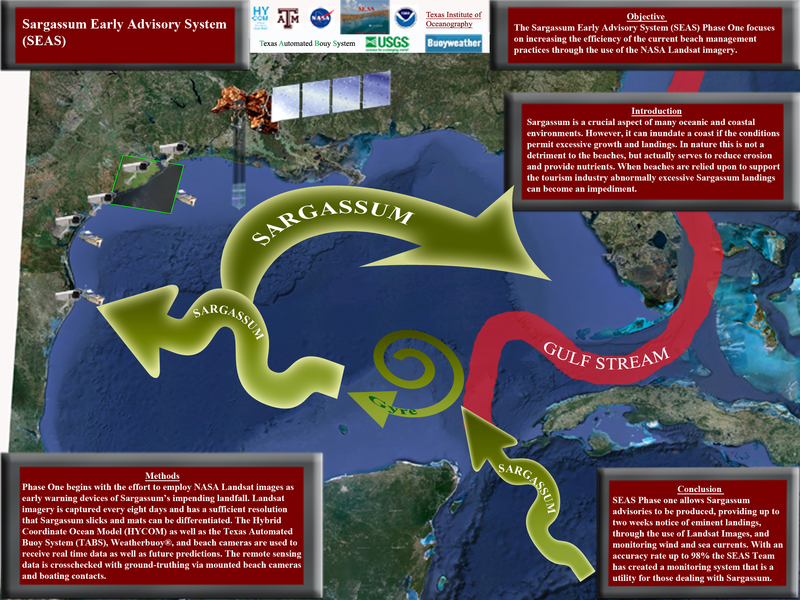 Because of Robert Webster was able to identfy the path and driving factors of the Sargassum Cycle, He was able to come up with a system to locate and build a forecasting program. Since his passing the program has contiuned to work towards learning more about Sargassum and understanding the forces that cause the landings each year. The webcams below are owned and operated by diffrent companies. This is merely a collection of these cameras to help people see the local conditions of the beaches. *Notice* Yucatan has been changed to Quintana Roo North. To help accomdate for Quintana Roo South and Tulum forecasts. Anegada changed to Puerto Rico East and northern image added. Images might take a minute to load with slow internet speed. This is the collection of Presentations from the Sargassum Symposium. Feel free to download what you wish.